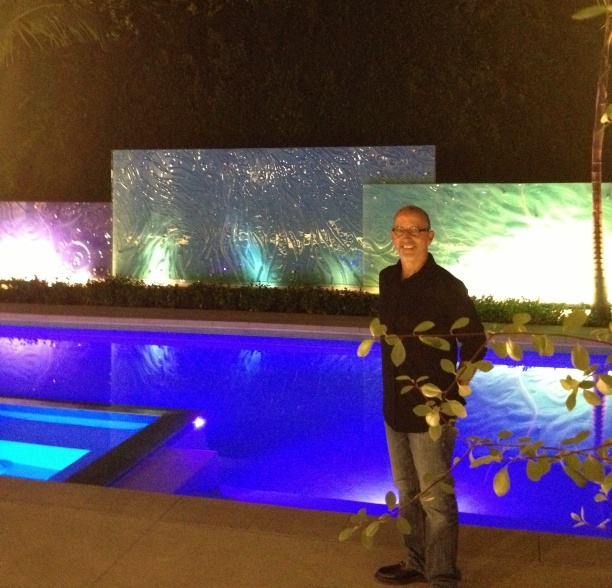 Reflection pool installation, private residence, Bell Air, CA. 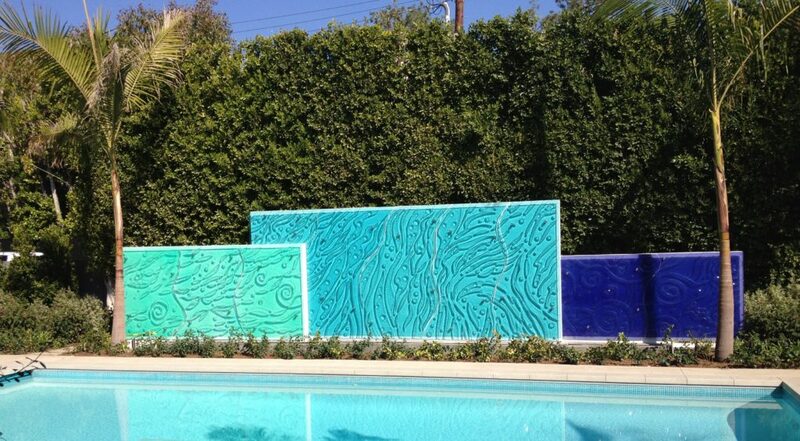 3 sections comprised of ten 1/2″ thick, kiln formed glass panels, point supported, with a total length of 38 ft. 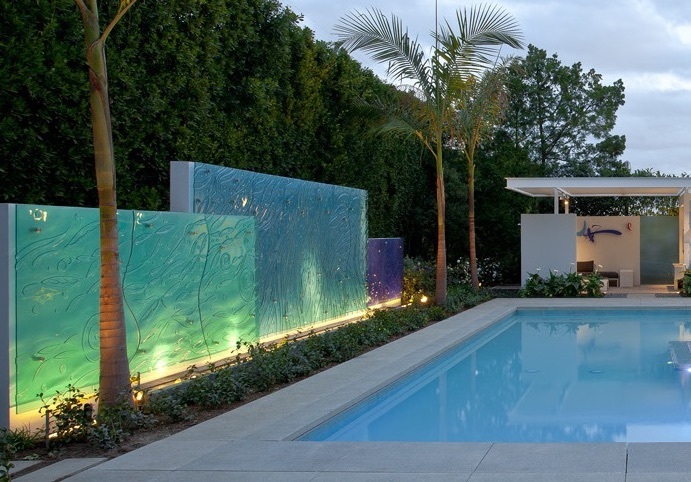 The intent was to create a water feature without the maintenance implications of water running down the glass itself. 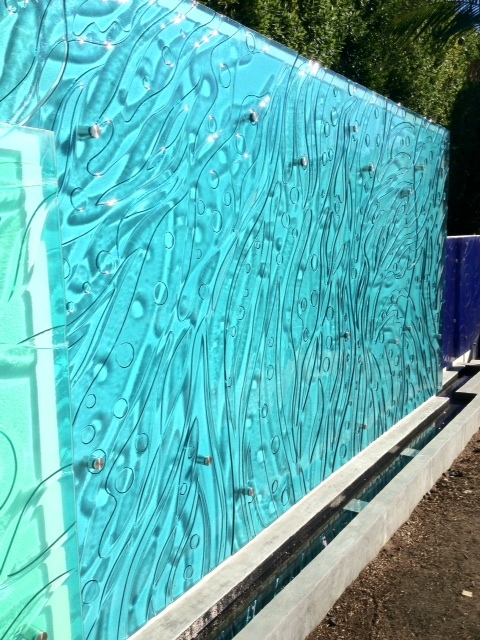 We therefore suggested textured glass with a narrow water trough in front. The water is lit from underneath, while a fan creates gentle flow, and the moving water is thereby being projected onto the glass and to the wall behind it.